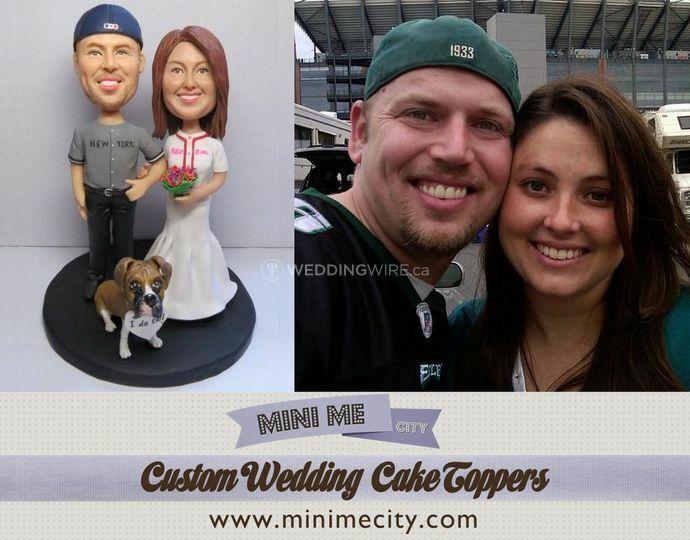 Mini Me City - Custom Wedding Cake Topper ARE YOU A VENDOR? 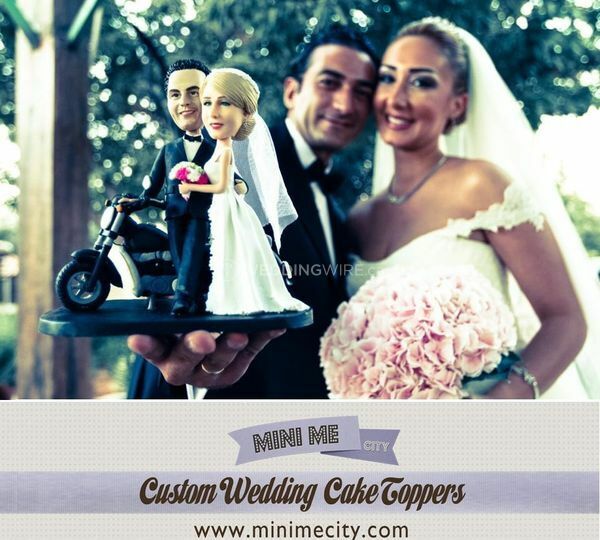 Mini Me City designs cake toppers to look just like the bride and groom. 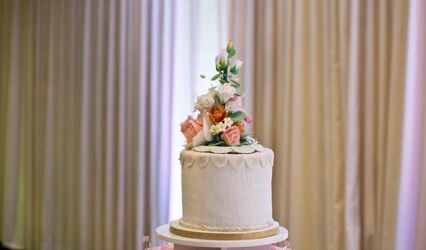 From the outfits to hairstyles and facial features, these cake toppers will be a personalized gift to keep for years to come. 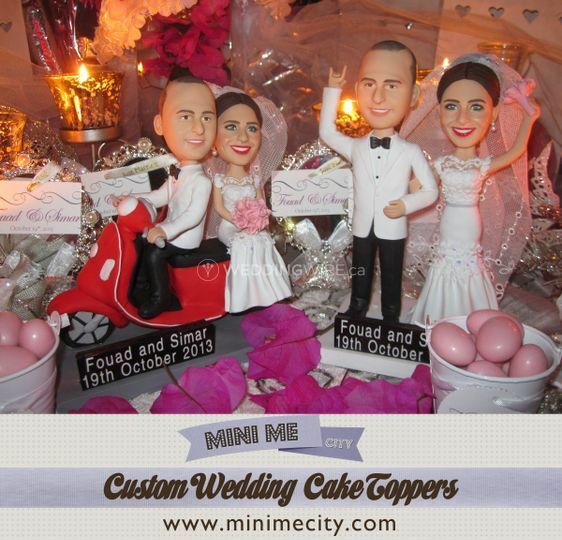 Mini Me City's custom cake toppers can be themed and customised from head to toe. 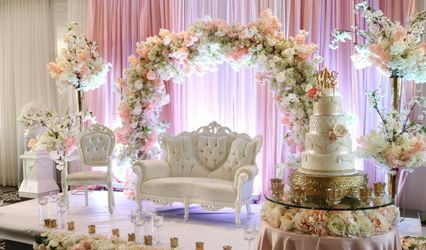 Mini Me City provides assembly, design, and express shipping. 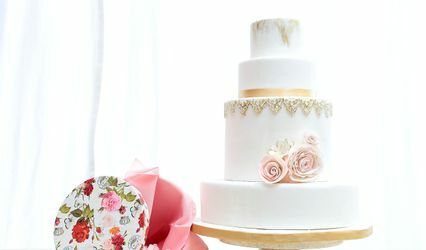 Orders typically take 3-4 weeks to arrive after placement. 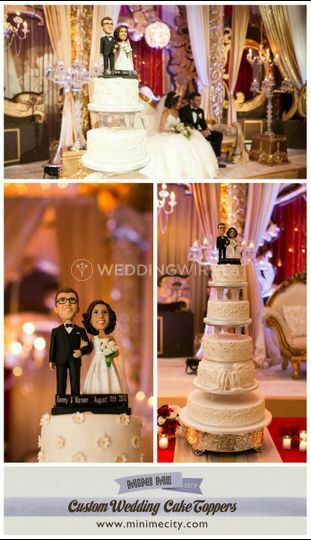 Figurines can be designed as individuals, couples, and wedding poses. 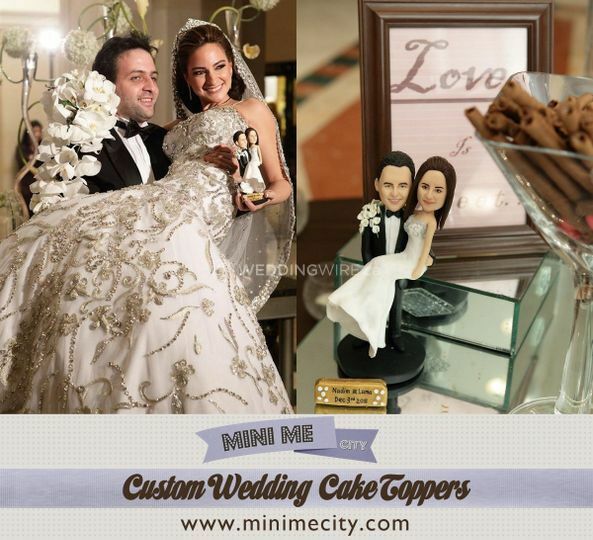 Custom caricatures are available for weddings and other events as well. 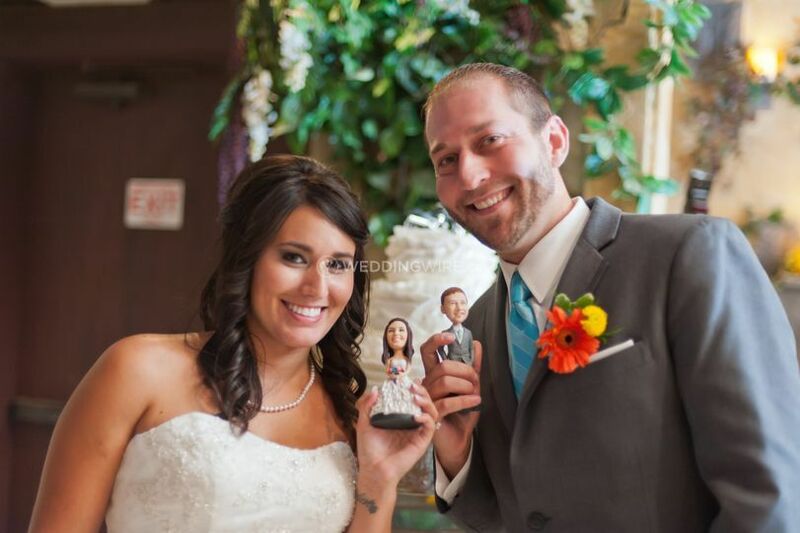 The bride and groom provide a snapshot of how the Mini Me is expected to look. 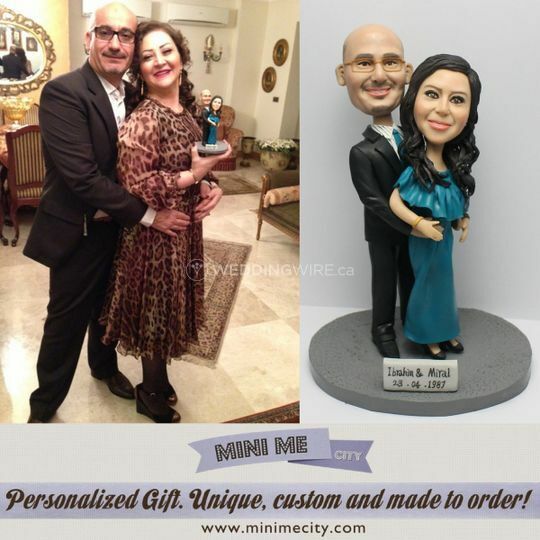 Mini Me City designs 3D statues to look like the picture. 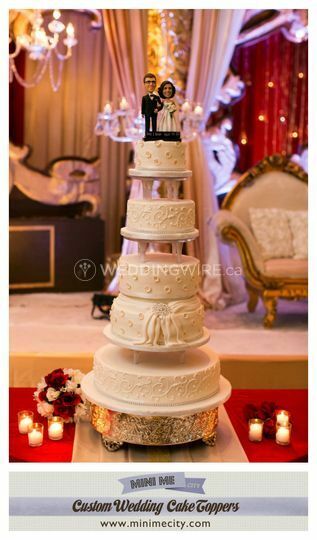 Orders can be placed for one to top the cake or multiple to hand out as favors. 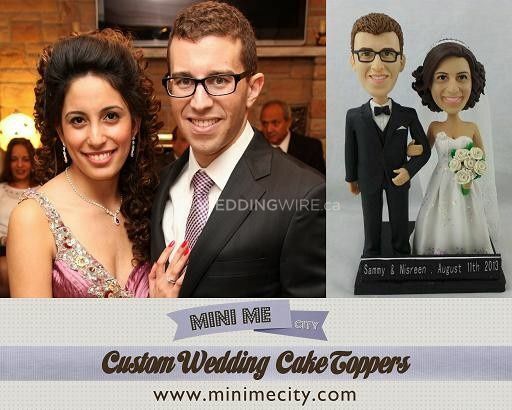 Large orders can be placed for up to 3,000 Mini Me statues.